A friend of mine from high school emailed me because she needs help spreading the word about a unique restroom fixture I can appreciate. 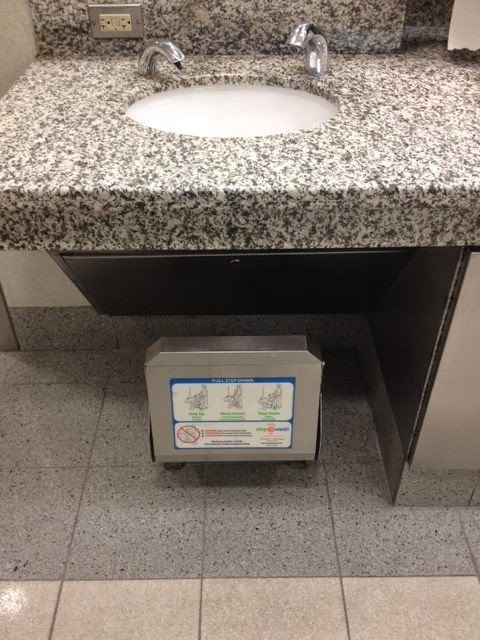 This fixture helps all little people simply reach the sink and wash their hands. I can appreciate this fixture for 2 reasons. 1. In my former career I was designing office spaces and public spaces (like restrooms) to be compliant with the Americans with Disabilities Act. 2. I have small children I lift up to help wash their hands, they would rather do it “by myself!” but I’m trying to avoid the leftover soapy water from getting all over their clothes. 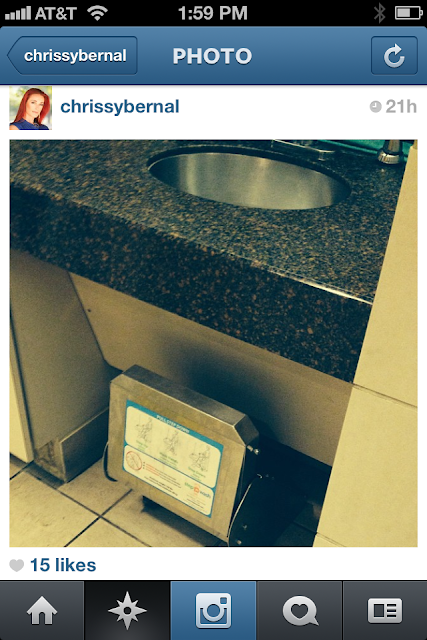 My friend, Chrissy Bernal, has a different perspective. Her beautiful 14 year old daughter, Sienna, is a Primordial Dwarf. Sienna is also a twin with her sister Seirra and I think they are the only pair in the world where one is a primordial dwarf, amazing! Their mom has made me more aware of how public restrooms might be accessible to a wheelchair or a blind person but not to a little person, the soap, the faucet, etc. Chrissy is single handedly changing this by asking businesses to install the Step ‘n Wash for all the Little People of America. Step ‘n Wash from Step ‘n Wash on Vimeo. 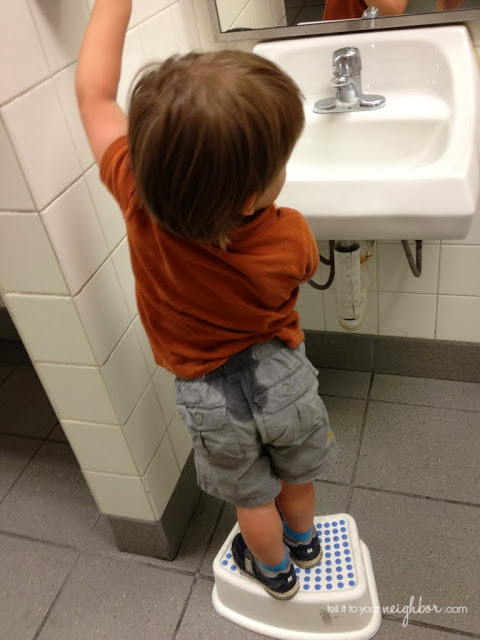 The Step ‘n Wash is installed onto the floor and the stool flips up when not in use, genius, tell it to your neighbor! Do you recognize the sink in the picture below? That’s Nordstrom, they do everything right in my book! 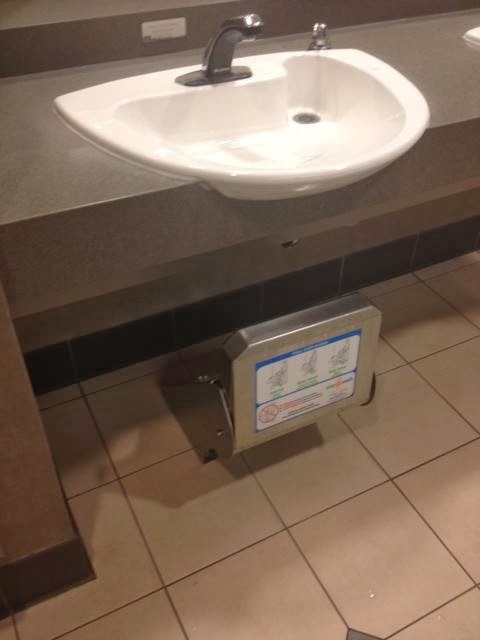 If you’re a business owner please install this in your public restroom! All little people and parents with small children will be a super fan of yours forever! Is he going to kill me one day for posting this picture?